Shop our outdoor counter stools perfect for kitchen sitting areas or home bar seating outdoors. Free Shipping on all orders! 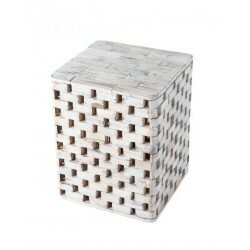 Beautifully stunning and elegant, show off your artistic side with this exquisitely crafted Garden Stool. The Maya Square Garden Stool of Patio Sense will complete your home garden so that you can spend some peaceful time in your garden.FREE Fast Shipping! Raise your aperitif and toast to Parisian style with this indoor-outdoor stacking French bistro counter stool. Created for those seeking Gallic flair in any dining area, its grey and white design is paired with light brown wicker for an authentic look. 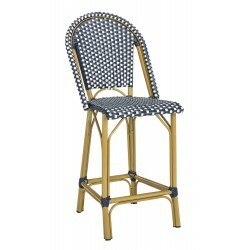 Raise your aperitif and toast to Parisian style with this indoor-outdoor stacking French bistro counter stool. Created for those seeking Gallic flair in any dining area, its navy and white design is paired with light brown wicker for an authentic look. 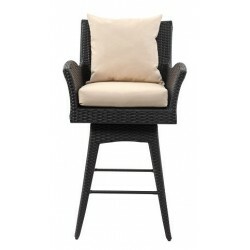 Versatile and stylish, this outdoor wicker swivel counter stool with arms is a must-have for entertaining. 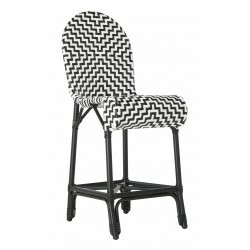 Perfect for cocktails or canapes, guests love taking a spin on its plush upholstered seat. Designers adore its chic grey construction and beige cushion. 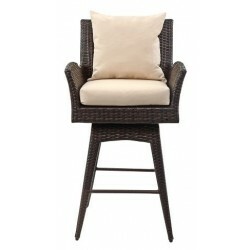 Versatile and stylish, this outdoor wicker swivel counter stool with arms is a must-have for entertaining. Perfect for cocktails or canapes, guests love taking a spin on its plush upholstered seat. Designers adore its chic brown construction and beige cushion. 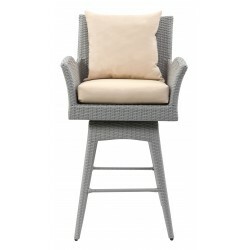 Versatile and stylish, this outdoor wicker swivel counter stool with arms is a must-have for entertaining. 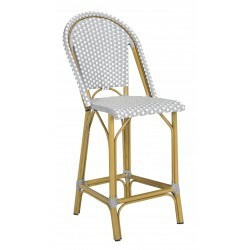 Perfect for cocktails or canapes, guests love taking a spin on its plush upholstered seat. Designers adore its chic black construction and beige cushion.